MSPs will investigate the state of infection control at Scotland's medical facilities. A ten-year-old boy died in December at the Queen Elizabeth University Hospital (QEUH) in Glasgow after contracting the Cryptococcus infection. Both deaths are currently being investigated by the Crown Office. 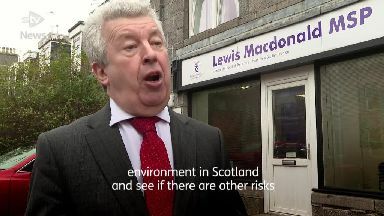 Lewis Macdonald MSP, the committee convener, said: "Like everyone across Scotland, I was deeply troubled by the nature of the deaths at the Queen Elizabeth University Hospital. "We are also going to look at the adequacy of systems and processes for reporting and controlling outbreaks when they do occur." Health secretary Jeane Freeman has ordered a separate review of the design, build, handover and maintenance at the QEUH and how they contribute to "effective infection control". 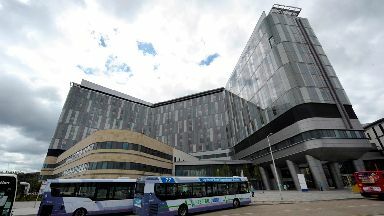 A Scottish Government spokesman said: "As the health secretary has set out in parliament, an independent expert review will look at the hospital's design, commissioning, construction, handover and maintenance, including how these matters support effective infection prevention and any other areas considered necessary by those carrying out the review. "The health secretary has also asked the Healthcare Environment Inspectorate (HEI) to fully inspect and review this incident and to make any further recommendations they consider appropriate."